Singing was at the heart of the very first Hastings Musical Festival and it still is. 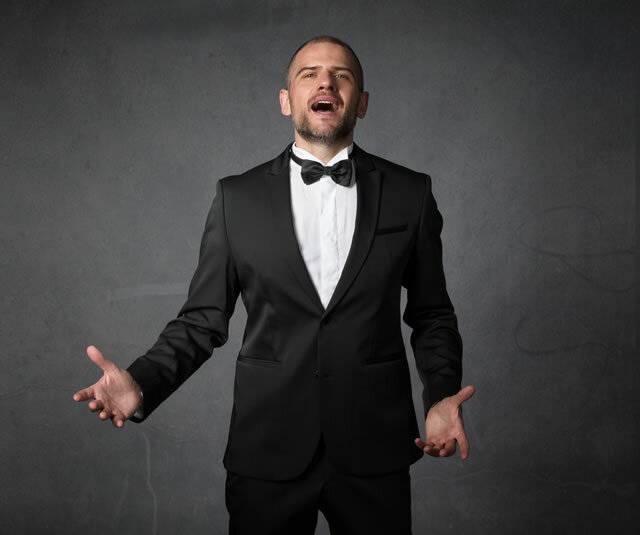 Today’s singers have a vast range of styles and repertoire to choose from, from Classical Opera and Oratorio to Pop, from Show Songs to Folk Songs, there is something for everyone. This section also offers opportunities to Singer-Songwriters to present their own work. Whether you are 5 or 65 there is a class to suit you. The Bronze, Silver and Gold Medals are always hotly contested, and offer a wonderful showcase for the best of the best. This year sees a new partnership with the Hastings Rotary Club. 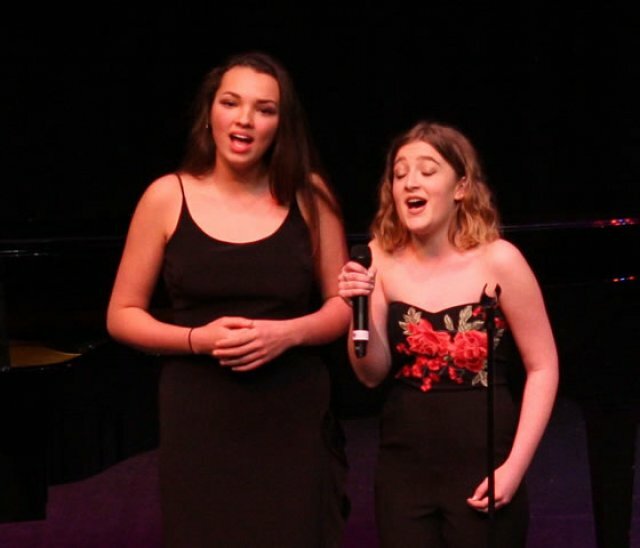 Winners from various Singing and Instrumental Classes will be eligible to enter the Rotary Club’s Young Musician of the Year, a National Competition to find talented young musicians. (Entrants must be under 18 on 31st August 2019) See the syllabus for more details. Award: THE CLIFFORD GLAZIER SILVER CHALLENGE CUP Presented by Mr & Mrs A J Glazier. Award: ALBERT TURNER CUP.Presented by Mrs B Turner. Award: THE DOREEN CARTER CUP. Own choice. Vaughan Williams, Quilter, Britten, M. Dring, C. Liddell, R.R. Bennett or similar. Award: THE HILDEN GRANGE CUP. Presented by Hilden Grange School. Own Choice: English Art Song. Words to be recited first as a poem and then sung. Time limit to include introduction, poem and song. Words to be recited first as a poem then sung. Time limit to include introduction, poem and song. Award: THE ATKINSON CUP. Presented by Judy Atkinson. Words to be recited first as a poem, then sung. Time limit to include introduction, poem and song. Award: THE GEORGE SAUNDERS MEMORIAL CUP. Presented by Miss Beryl Saunders. Own Choice: One Song (can be from Oratorio). Note: to be sung from memory. Award: THE GERTRUDE ROSSA SHIELD. Presented by Mrs. Karen Mcinally. Own Choice: Any classical solo song in a foreign language. Award: THE PRIMARY SHOW SONG CUP. Presented in memory of Mr. peter Rickets. Own Choice: Solo song from any musical show or film. Suitability of choice must be considered with regards to age group. No props or costume allowed. Award: THE APS CUP Presented by Advanced Plumbing Solutions. Award: THE ELIAS FAMILY CUP. No props or costumes allowed. Award: THE LESLIE FELSTEAD MEMORIAL TROPHY. Presented by Miss Norma Redfearn. Own Choice: Solo song from any musical show or film (not including Gilbert and Sullivan). Suitability of choice must be considered with regard to age group. no props or costume allowed. Award: THE MAD FISH AWARD FOR EXCELLENCE. Presented by Emma Burnett. Solo Cabaret or Standard song. (a song not written or performed in a musical). Post 1940 to present day. Suitability of song must be considered with regard to the festival and age of class. Award: THE IVORA REES TROPHY. Presented by Ivora Rees. Own Choice: Any song written by Ivor Novello, Irving Berlin, Gershwin, Jerome Kern or similar, pre 1945. Award: THE MAD FISH JUNIOR AWARD. Presented by Mad Fish. Own Choice: solo song .Any popular song. Not Show Song. (If a song was originally written for a musical, it is not allowable). Performers may choose from a wide range of genres, such as jazz, blues, rock etc. All songs must be suitable for performance at the Festival - offensive lyrics will not be allowed and the adjudicator will have the power to stop any performance deemed unsuitable. A professional PA system and sound engineer will be available, together with a piano. Performer may be accompanied by a guitar. A separate CD must be provided for each performer using a backing track, or an audio line in will be available. Award: MAD FISH JUNIOR PLUS AWARD. Presented by Mad Fish. Own choice: Any popular song. Not Show Song (if a song was originally written for a musical, it is not allowable). Own Choice: solo song. Any popular song. Not Show Song (if a song was originally written for a musical, it is not allowable). Own Choice: Solo song. Any traditional folk song from the British Isles. Award: THE SELLENS FOLK AWARD. Presented by Mr. And Mrs. Sellens. Own Choice: Song with Piano, Acoustic Guitar or Harp. Not pop song. Copies of the music must be provided for the Adjudicator. Credit will be given for presentation and Musical standard of the Song. Award: THE PAULINE BARTON CUP. Presented by Her Family. Own Choice: Not Show Song. Costume and hand-held props acceptable. Accompaniment can be by any solo instrument. Own choice: Vaughan Williams, Quilter, Britten, M. Dring, C. Liddell, R.R. Bennett or similar. Own Choice: A song or aria composed before 1800. Award: THE PAUL HAMBURGER CUP. Presented by Miss Jane Metcalfe. Own Choice: Any solo Art song not from the British Isles: Grieg, Sibelius, John Duke, Barber, Granados, De Falla, Respighi, or similar. (Excluding French and Lieder. May be sung in original language or in translation. The Winner of this class with a mark of 87 or above will be eligible for the Singing Gold Medal Class. 2248 Popular Music Vocal Class Open (Age 18 and over) Award: THE MAD FISH SENIOR AWARD. Presented by Mad Fish. Performers must supply the adjudicator with a copy of their lyrics. A professional PA system and sound engineer will be available, together with a piano. Performer may be accompanied by a guitar. A separate CD must be provided for each performer using a backing track, or an audio line in will be available. Award: THE COLIN BARTON CUP. Presented by His Family. Own Choice: Not Show Song. Costume and hand-held props acceptable. Accompaniment can be by any solo instrument. Own Choice. Popular song from 1870-1945, including Music Hall, Drawing Room Ballad, wartime standards and jazz standards from that era. Period costume optional but encouraged. Performers may invite audience participation where appropriate. Award: THE LUCY METSON CUP. Own Choice: Song with Piano, Acoustic Guitar or Harp. Not a Pop Song. Copies of music must be provided for the adjudicator. Credit will be given for presentation and Musical standard of the Song. Own Choice: Song with Piano, acoustic Guitar or Harp. Not pop song. Copies of the music must be provided for the Adjudicator. Award: THE JUNIOR GILBERT & SULLIVAN TROPHY. Presented by Supporters Anonymous. Any Solo, Duet, Trio or quartet from an Opera by Gilbert & Sullivan. Soloists may also enter this class in a duet, trio or quartet as a separate entry. This class is free to anyone who has never sung in a Musical Festival. Own Choice: Not Pop Music. Any voice, male or female. Open to performers who have not won a first place in any Festival affiliated to the Federation. Award: THE HASTLEON OPERATIC & DRAMA SOCIETY SILVER CHALLENGE CUP. Presented by The Hastleon Operatic and Drama Society. Any solo or duet from light opera or similar, published before 1950. (Johann Strauss, Lehar, Monckton, Balfe, Novello, Coward, Vivian Ellis or similar). Not Gilbert & Sullivan. Soloists may also enter this class in a duet as a separate entry. Own Choice. Any solo or duet from any musical play (Gershwin, Berlin, Rodgers and Hammerstein, Kern, Bernstein, Lerner and Loewe, Sondheim or similar). Own Choice. Any solo, duet or trio from any musical show or film 1970 to present day. 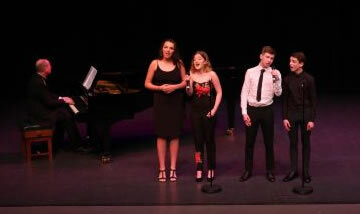 Soloists may also enter this class in a duet or trio as a separate entry. Own Choice contrasting programme of two, three or four songs. Credit will be given for choice of programme, presentation, dress and deportment and personality. Time limit includes introduction and pauses between songs. Programme may include one song performed in another class during current festival. The programme may include Musical Theatre, but Pop songs are not acceptable. A standard of at least ABRSM Grade V is expected. Own Programme. Time limit includes introduction and pauses between songs. Credit will be given for choice of programme, presentation, dress and deportment and personality. It is suggested that dress should be such as would be suitable for a lunch-hour concert. Own Choice: Classical Song. Credit will be given for presentation and Musical standard of Song. A winning mark of 87 must be achieved before the madam can be awarded. Award: THE GOLD MEDAL. A CASH PRIZE OF £150 if a mark of 85 and over is awarded. Anyone with a mark of 87 and above in the following classes in 2019 will be eligible to enter the 2019 Gold Medal on application to the General Secretary and payment of the Gold Medal entrance fee. The Gold Medal will be awarded to the winner with a mark of 90 and above and only to a singer who is not already a Hastings Musical Festival Gold Medallist. However former Gold Medallists entering the class will also be eligible to win the cash prize of £150. Gold Medal entrants will sing their song from one of the above, and also a song of their own choice which they have not already sung in the 2019 Festival. N.B. It is important to prepare a second song. Own choice song can be any style other than Rock, Pop or Jazz Credit will be given for presentation, dress and musical standard of the songs. Please note. This class will not take place if fewer than three entries are received. The John Lockey Championship is open only to the winners of classes 2140 to 2164 who qualify automatically, with a mark of 80, to compete. If an entrant has qualified in two classes, he/she must choose one piece for the championship. Set Songs for the John Lockey Championship, classes 2140 to 2160 are available from:- www.boosey.com/shop. 'Now Sleeps the Crimson Petal' Key Eb Roger Quilter. 'When Sweet Ann Sings' Key F Michael Head. 'The Bells of San Marie. Key G minor. John Ireland. 'Sea Fever' Key E John Ireland Galliard. Open only to the winners of classes 2140 to 2164 who qualify automatically, with a mark of 80, to compete. If an entrant has qualified in two classes, he/she must choose one piece for the championship. The June Elgar Memorial Championship is open only to the winners of classes 2189 - 2224 who qualify with a mark of 80 to compete. Own choice from any French classical composer. To be sung in French. The winner will be eligible for the June Elgar Memorial Championship if a mark of at least 80 is awarded. Anyone with a mark of 87 and above is eligible to enter The Gold Medal Class . Award: THE CECILIE ELSWORTH SILVER CHALLENGE CUP. Presented by Miss Ceciilie Ellsworth. Own Choice: Any composer. To be sung in German. Winner eligible for June Elgar Memorial Championship if mark of at least 80 awarded. Anyone with a Mark of 87 and above is eligible to enter The Gold Medal Class. Award: THE VERITY ANN BATES CHALLENGE CUP. Presented by Miss Bates. Own Choice: One aria only in original key. Winner eligible for June Elgar Memorial Championship if mark of at least 80 awarded. Anyone with a mark of 87 and above is eligible to enter The Gold Medal Class. Own Choice: One aria only in the original key. Recit. optional. Anyone with a mark of 87 or above is eligible to enter The Gold Medal Class. CHALLENGE CUP for Men. Presented by Mrs. W.D. Midmer. Own Choice: One aria in the original key. Copies may be used. NOW INCLUDING BACH ARIA. Winner eligible for the June Elgar Memorial Championship if a mark of at least 80 awarded. Award: THE JUNE ELGAR MEMORIAL CHAMPIONSHIP TROPHY. Presented by John and Elaine Elgar. Open only to the winners of classes 2196-2224 who qualify with a mark of 80 to compete. Award: MATTHEW JAMES MEMORIAL CUP. Presented by Emma Burnett. Can be self accompanied or accompanied by piano or guitar. A professional PA system and sound engineer will be available. Performer must have written the tune and accompaniment. Lyrics and music or chords to be provided for the adjudicator. Note: the same song cannot also be used in a solo pop-vocal class. Note: the same song cannot be performed in the solo pop vocal class. Will be adjudicated on combined performance of competitors. In the Singer and Accompanist classes a performer may appear a second time in the other capacity. No electronic keyboards are permitted. An Ensemble (as opposed to a Choir) is defined as one voice per part. Any minimum age limit will apply only to the eldest performer. Performers may only appear once in each class (unless otherwise stated). Appropriate arrangements allowable. Own Choice: Duet or ensemble from any musical show or film. No props or costume allowed. Singers may enter class twice - once in a duet, and once more in a larger group. 2308 Duet. (Age under 13). Own Choice: Duet, any style (not show Song) any combination of voices. Own Choice: Duet, any style (not show song). Any combination of voices. Award: THE PHILOMEL SILVER CHALLENGE CUP. Own Choice: must be pre 1960. Any combination of voices. Own Choice: Any combination of voices. To be sung in original key. Presented by Ms. Judith Coleman. Own Choice: Not Show Song. (If a song was written for a musical, it is not allowable). Any combination of voices. Award: THE OFORD SARGENT SILVER CHALLENGE CUP. Presented by Mr. Oford Sargent. Own Choice: any combination of voices. Award: THE EILEEN TICEHURST CHALLENGE CUP. Presented by The Tenterden Choral Society. At least two singers. Singers may enter class twice - once in a duet, and once more in a larger group. At least two singers. Singers may enter the class twice, once in a Duet and once more in a larger group. Award: THE MRS BETTY LUNN TROPHY. Presented by Mrs. Jenny Barton-Hibbs. Own Choice: Action song or songs. Costume optional. At least 5 performers. Extra marks will be awarded for Songs of real merit with bona-fide action. Award: THE DOROTHY HALLET CHALLENGE CUP. Presented by Mrs. Dorothy Hallet. Own Choice: Action song or songs. Costume optional. Musical instruments permitted. At least 7 performers. Presented by 2nd St. Leonard's Guides. Own Choice: Campfire programme. Costume optional. Musical instruments permitted. Own Choice: Programme of at least two contrasting songs. Choirs may be accompanied by piano, keyboard or pre-recorded piano or keyboard. Own Choice: Programme of at least two contrasting songs. Any number of voices. Award: THE MABEL E. JEPSON SILVER CHALLENGE SHIELD. Presented by Miss Mabel Elizabeth Jepson. Own Choice: Programme of at least two contrasting songs. Any combination of voices. Own Choice: ACCOMPANIED BY PIANO. Programme of at least two contrasting songs. Any combination of voices. Copies may be used if necessary. Copies may be used if necessary. Award: THE MRS. F. TYLER SILVER CHALLENGE CUP. Own Choice: Programme of at least two contrasting songs. For any unaccompanied choir or group, including madrigals, barbershop or other. Any number of voices. Copies may be used, if necessary. Award: THE MUSIC THEATRE CUP. Adjudication for this class will be based on all elements, singing, acting and choreography. hand held props allowed. No costumes allowed. Performers may enter more than once in this class. Own Choice: Extract or highlights from any one musical. Any number of performers. Backing track CD allowed for accompaniment (instrumental only) or piano. Performance will be on the main theatre stage. Winners of the Girls and Boys Girls Singing Silver Medals (2128 and 2132) together with the winners of the following classes: 2046,2060,2064,2088,2093,2096, will be invited to compete in the Hastings Area heats of the National Rotary Young Musician of the Year Competition in October/November 2019. District, Regional and National finals will be held in 2020. Winners must achieve a mark of 85 or above in these classes and must be aged 17 or under on 31st August 2019 to be eligible to enter. Competitors must be in full time education but not at professional music college on this date. Sarah is a vocal graduate of the Royal Academy of Music, where she studied with Josephine Veasey and Patricia Clarke. Whilst at the Academy, Sarah was the recipient of many prizes including Early Music, Lieder and English Song. She was an active member of the opera course, singing roles by Britten, Strauss and Mozart. Upon leaving the Academy, Sarah studied with Margreet Honig at the Sweelinck Conservatorium in Amsterdam. She has sung recitals and oratorios all over the country and was a member of the Opera De Lyon. Sarah is a visiting teacher of voice at Marlborough College in Wiltshire and an adjudicator for the British and International Federation of Festivals. David Beer is a professional conductor and pianist. He taught music in schools, before embarking on a full-time career as a freelance conductor. He has conducted many West End and international touring shows including Fame, Guys and Dolls, Me and My Girl, We Will Rock You, Cats, Aspects of Love, Jesus Christ Superstar and Joseph and appeared on TV, radio, played on film soundtracks, and recorded 3 original cast albums. He was Director of Music at the BRIT School for Performing Arts, Director of Performance at the Academy of Contemporary Music and has been a vocal coach at many leading drama colleges. Currently, he works regularly as Musical Director at Arts Educational Schools London, and teaches singing at Emil Dale Academy in Hitchin. David is an examiner for London College of Music, and was recently awarded an FLCM for Professional Achievement. He has been a Music Mentor for Music For Youth for several years, is an Adjudicator member of the British and International Federation of Festivals and has adjudicated many festivals nationwide. He lives in Bedfordshire where he also teaches singing and piano, and conducts adult and children’s choirs. Please read these rules carefully - they may change from year to year. Any variation from these rules may result in disqualification. Also see the General Regulations. One big change this year is to the Age Limits. We have standardised the date across all the Sections so that all competitors must now be the stated age for their class on 1st September 2018. In some classes we have added the school year to which this age group applies. Solo Singers are expected to memorise their songs except in Oratorio classes (Class 2220) or in Class 2280 (Seniors age 60 and over), when copies can be used. Choirs competing in classes 2372, 2373, 2374 and 2377 are permitted to use copies if necessary. Other choirs should sing from memory. Apart from set pieces and Folk classes, copies of music to be sung must be given in to the desk before the start of the class. Set songs must be sung in the edition shown in the Syllabus. Anyone unable to obtain music for the set songs should contact the General Secretary. The same song may not be sung in different classes by the same performer, unless specifically stated in the syllabus. For "Own Choice" pieces. Suitability must be considered with regard to age group. "Adult" or offensive material is not acceptable and the Adjudicators will be advised to take this into account when marking. They will also have authority to stop any performance at their discretion which would lead to disqualification. In Junior singing classes (age under 18) set pieces or own choices may be sung in any key, and transpositions are allowed. All singing classes to be accompanied by the piano unless otherwise stated. Please refer to the regulations regarding accompanists. A winner of a Bronze Medal may enter for the Silver Medal in subsequent years, even if under 15 years old. Teachers please note: Solo entries are not transferable, although substitutes are permitted in duet, trio and ensemble classes. It is becoming increasingly difficult to buy songs as single copies, and for that reason it may be necessary to buy a collection or cycle for the sake of one set song. We appreciate that this will be more expensive but trust that these anthologies will be a valuable addition to a singer’s library. Unless otherwise stated, all Junior singing set pieces are available from: Brittens Music, Grove Hill Road, Tunbridge Wells Email: sales@brittensmusic.co.uk. NB. Set Songs for John Lockey Championship Classes 2140 -2160 available from www.boosey.com/shop. In case of difficulty obtaining set pieces, please contact the Section Secretary. Tel. 07768462185.